This greenhouse area is currently under development, simultaneously with an adjacent logistics area. The rainwater collected by the roofs in both areas (100 hectares in total) will be collected, stored, and used for irrigation. In order to cope with variability in rainfall events and water demand, ASR-coastal is considered the most attractive storage option due to its limited claim on aboveground land. The SWS innovation involved in ASR-coastal will limit the potential loss of injected rainwater in the brackish target aquifer at a depth of around 10 to 55 m below surface level. This way, a reliable irrigation water supply can be achieved. The yearly estimated infiltration volume will be 800.000 m3and around 500.000 m3 will be yearly recovered for irrigation. 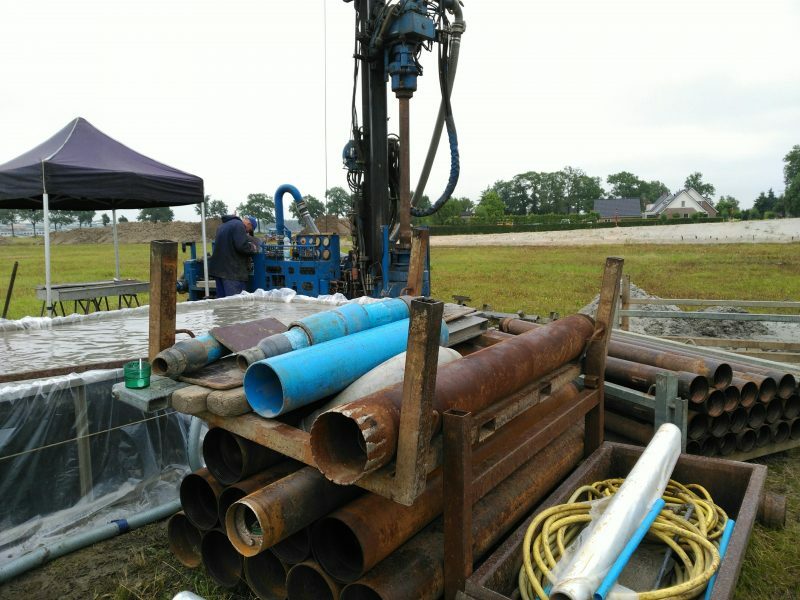 Execution of the pilot drilling in order to obtain detailed information on the local stratigraphy and native groundwater quality. The current stage of he project involves detailed characterization of the target aquifer, finalization of the design, and permitting. The final decision on the realization will be made this autumn, upon which installation should quickly take off. The project strongly realies on the lessons learned at the Nootdorp and Westland reference sites.